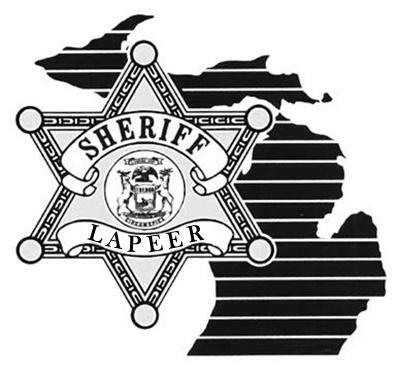 On Monday 09-19-2016 at 11:36 PM, Lapeer County 911 dispatched Lapeer County Sheriff’s Deputies to an injury motorcycle crash on Peppermill Road between Lake George Road and Force Road in Attica. Brian Putnik age 43 from Columbiaville was traveling west on Peppermill Road operating a 2011 Harley Davidson motorcycle. The area is rural and unlighted. There is a farm field on the south side of the roadway with a row of trees parallel to the road. A deer (doe) entered the roadway traveling north in direction. Putnik applied his brakes prior to striking the deer. The deer attached to the front of the motorcycle and both traveled to the north shoulder of the roadway. Putnik was not wearing a helmet and possessed a valid cycle endorsement with the Michigan Secretary of State. Putnik was pronounced deceased at the scene. The deer did not survive. Neither excessive speed (unposted 55 MPH speed limit) nor alcohol appear to be contributing factor. The roadway was closed for approximately two hours. Lapeer County Sheriff’s Deputies were assisted at the scene by Michigan State Police Troopers from the Lapeer Post and Lapeer County EMS Ambulance Service.